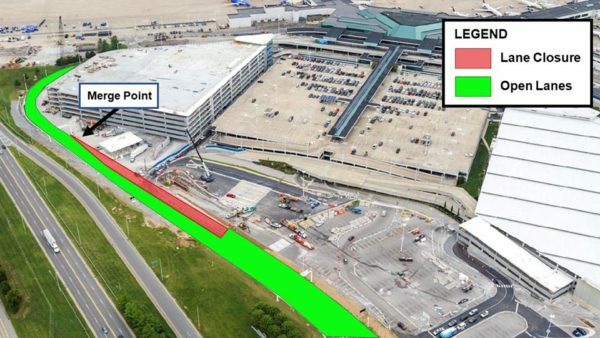 On Saturday, Oct. 6, and Tuesday, Oct. 9, a lane of Terminal Drive will be closed from approximately 6 a.m. to 4 p.m. due to road work. Drivers may encounter congestion as traffic merges into the two lanes that will remain open. We apologize for any convenience and thank you for your continued patience.